Are you new to International Vacation Home Exchange, IVHE.com? We are going to share with you some key facts about our exclusive vacation homes and what our members enjoy when home exchanging with IVHE. Want to save money on your next vacation? How does over $5,600 sound? Of course you don’t need to stay the full 2 weeks, the length of your vacation is up to you. 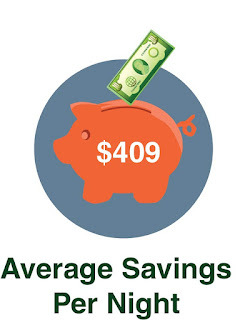 Our members, on average save over $400 per night in accommodation costs. What are these home like? To start with, about 2 out of 3 have 3 bedrooms or more. For larger groups, nearly 20% have five bedrooms or more. 95% of the homes accommodate 4 guests to sleep comfortably. And for larger parties, nearly a quarter can sleep 10 guests or more. Besides plenty of space, another advantage of home swapping is the convenience of having a kitchen for cooking meals. For IVHE.com properties, almost 2 out of 3 have four major appliances like a stove, microwave and a dishwasher for cleaning up. In addition, another convenience while on vacation is a clothes washing machine, so you don’t have to find a laundromat. It’s not just about amenities, it’s also about having fun. 1 in 4 homes have a pool for you to enjoy. More than two thirds have a garden or yard and two thirds also have an outdoor barbeque. Some even have an inviting hot tub to relax in. 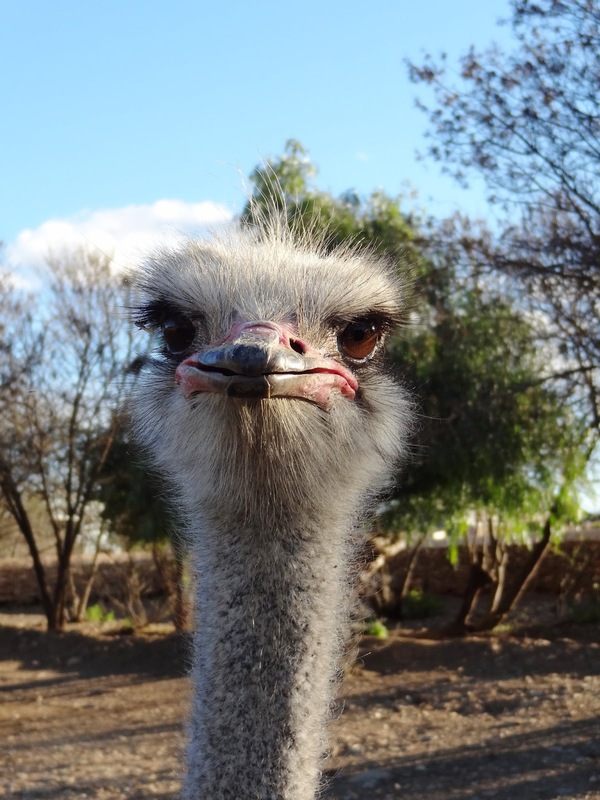 Who are our members, chances are they are just like you, someone who loves to travel, enjoys living like a local when away and looks to save money! Like adventure, yet also enjoy the comforts of a home? Does saving money appeal to you? If the answer to all of these is yes, then home Exchange is for you. Following the successful release of the digital copy of the Home Exchange Guide, we are pleased to announce that you can begin downloading and listen to audio format of The Home Exchange guide. The first two chapters are now available. They cover important topics like Why Home Exchange and Are all Home Exchanges the same? How do you choose the best home exchange network for you? 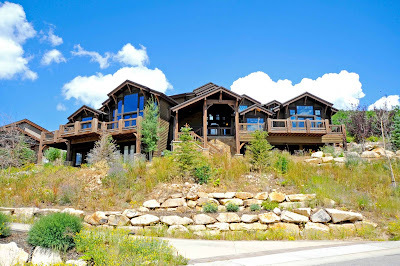 Hiking, Skiing, Fishing, Cycling, Golf – luxury mountain lodge (video). Do you love the outdoors? This year-round location is perfect for enjoying everything mother nature offers in a mountain retreat. Ski Mellow Mountain Lodge, IVHE.com #1014, has all of the above activities either on site or within a 10 minute drive – fabulous. If you want to simply relax in this spacious 7,500 square foot (~700 square meters) home, chances are you will see wildlife right from your windows or porch in the majestic Wasatch Mountains. With three (3) Master Bedrooms, each with a fireplace and bathroom, it is a wonderful choice for large families or to invite along friends. In total there are five (5) bedrooms, can sleep up to 13 guests and 7 bathrooms – plenty of space for everyone. For your convenience the kitchen is full of modern appliances and there is also a separate laundry room with clothes washer and dryer. In the winter while heading to the slopes, take advantage of the 3 car garage, making those early mornings much easier to stay toasty warm. This exclusive home is only 1 mile from Park City, filled with world-class skiing, delicious cuisine, and activities for all ages. The lodge is only 40 minutes from Salt Lake Int’l airport. This is a perfect mountain home exchange property! New to home exchange? 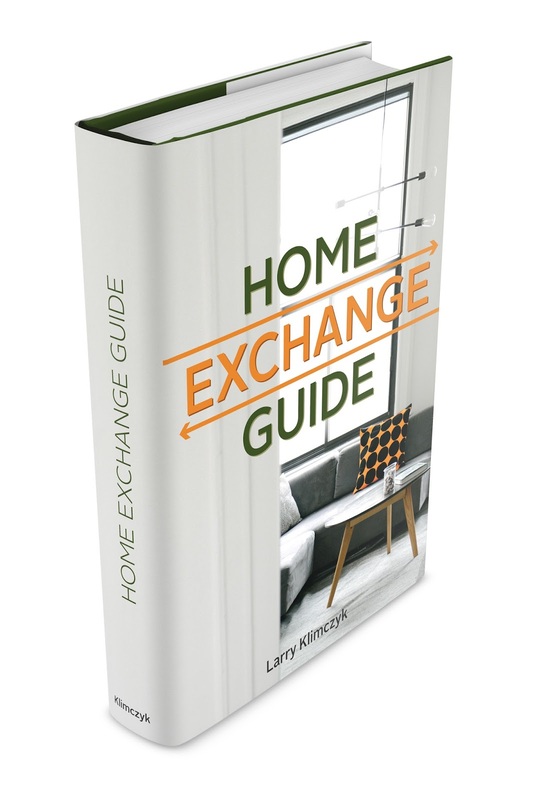 Get a FREE Home Exchange Guide, full of great information for you. 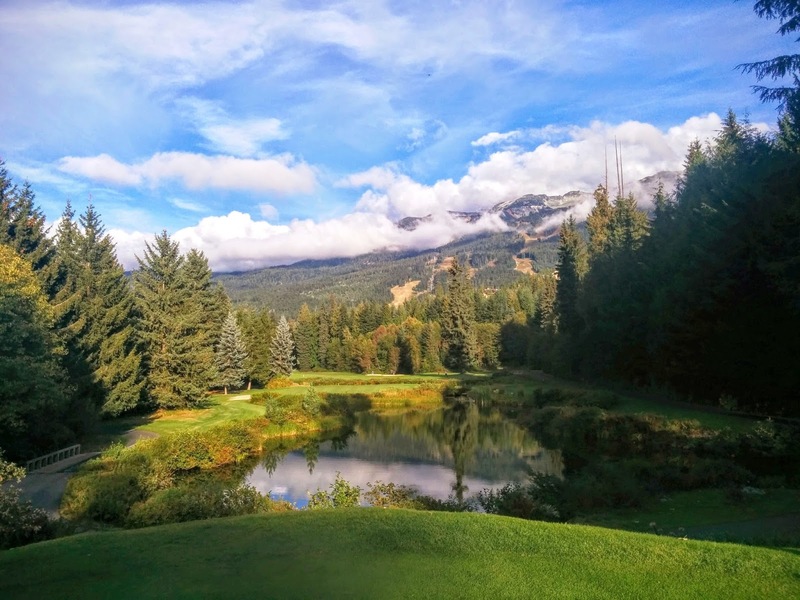 This is the third in a series of British Columbia golfing from our guest blogger, golf fanatic and business coach, Karen Thrall, enjoy! Whistler, British Columbia is considered one of the greatest year-round resort destinations worldwide. There’s a good reason for its reputation. From mountain, forest and water activities to scenic trails for hiking and cycling; various extreme adventures to push your boundaries; and every outdoor sport imaginable, you will love the Whistler experience. What do you feel like doing while you’re in Whistler? Whatever you want. Breathtaking views surround you. You’ll also enjoy exceptional restaurants and boutiques; relaxing spas and poolside lounges (all year, even in the winter months); fun nightlife, great pubs and live performances; a friendly and engaging community, … and yes, golf! (saved the best one for last!). I’ve played all three. And enjoy all of them. Each unique. All challenging. All scenic. All representing British Columbia and the Whistler culture in their finest of ways. I played in a fundraising tournament at Whistler Golf Club hosted by my good friend Matt Yasinchuk. He organizes these Battle Of The Elements charitable tournaments every year. It’s one of my favourites to attend. Needless to say, we had a blast. Prizes and winnings were generously distributed amongst the foursomes. The beverages were a flowin’ and the food, delicious. 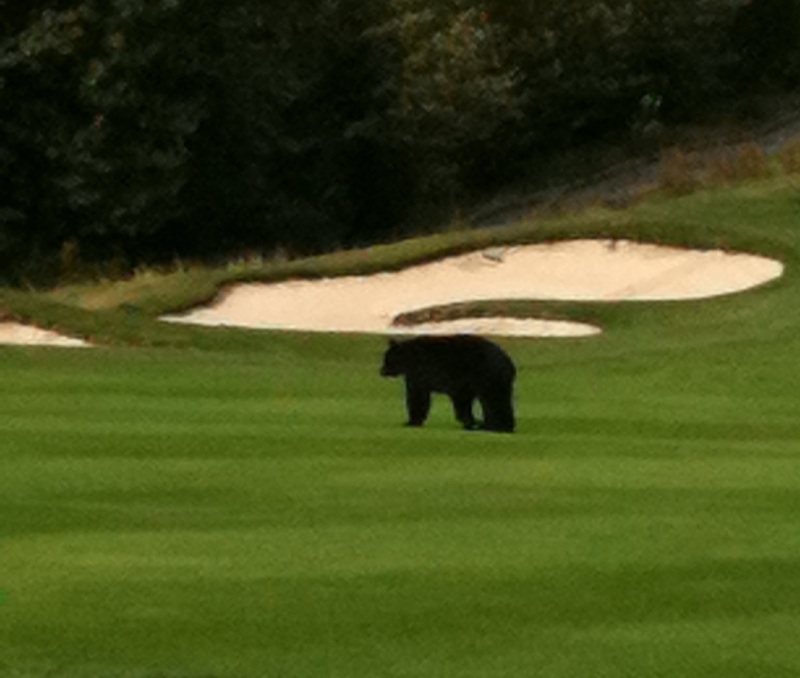 The staff at Whistler Golf helped our experience be unforgettable. This is also one of the first golf courses I ever played when I was newly learning the game. I highly recommend you grab a pull cart and walk it. Soak in its surroundings and enjoy the evergreen lands. Chad enjoys golfing with his two boys at Nicklaus North. Both of these young lads are competitive snowboard enthusiasts. Chad believes that the golf culture is a great place for his sons to learn the etiquettes of being gentlemanly; and how golf teaches his boys the art of the mental game as well as learning how to manage your plays on the course. The skills they learn through golf are transferrable to their passions in the extreme sports culture. He strongly believes that golf is one of the greatest ways to build a father bond with his children. 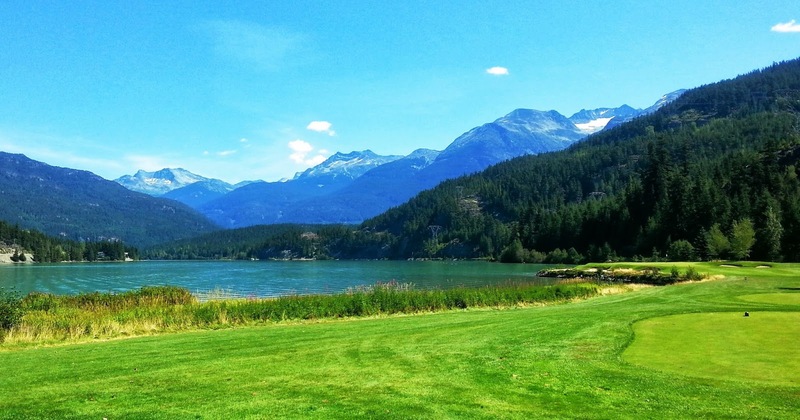 Enjoy Whistler, and what better way than a home exchange vacation and golfing! And don’t be alarmed if one of these little bear cuties wants to join your foursome. The golf marshals and forest rangers take good care of you. Get your camera out and enjoy BC’s captivating wildlife. A wonderful place for everyone, plenty of family activities, historical places and plenty of space if you would like to simply relax. Pembrokeshire’s coastline is certainly a major attraction. There are several sightseeing boat trips from various ports where you have the opportunity to see seals, dolphins, whales and of course dozens of varieties of unique birds. The cliffs dotted along the coast create a perfect ecosystem for the birds to mate and nest. Feel like seeing things up close from the water, then kayaking should be on your list of activities. A leisurely paddle will take you into small coves and caves while you can look for lobster, crabs, and a variety of marine life. You might be lucky enough to have a curious seal or dolphin follow you on your adventure. Being nimble and quiet, you can approach the cliffs to get a great view of the birds as they continually fly around from their perched nests. Of course for the more adventurous how about getting into the water? Coasteering is great fun where you kit up in a wet suite, gloves, and helmet and then go ride the waves, do some rock climbing and of course jumping from various heights into the sea. Riding a gentle current into a bay and getting sloshed around in a ‘washing machine whirlpool’ is tremendous fun. 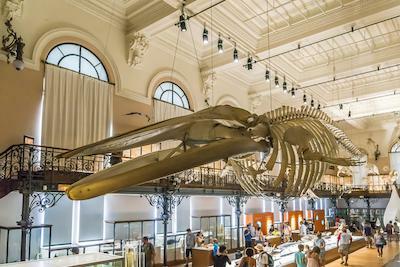 With the right guides you will quickly learn the various techniques of entering the water, even from jumping from as high as 11 meters (36 feet)! The Pembrokeshire Coast Path is 186 miles of scenic beauty. Not only are you covering a bit of distance, but the total rise and fall along the trail is 35,000 feet, greater than Mount Everest! Of course not everyone has to be that dedicated to complete the whole path as there are hundreds of smaller walks in the region. Maybe relaxing on the beach is more your style of holiday, there are plenty for you to visit, many isolated so you can peacefully read a book, catch up on sleep or contemplate the world. At the end of the day having pleasant cottage to enjoy turns your trip into a perfect holiday. With home exchange you can benefit from all the amenities of a staying in a home – plenty of space and bedrooms for everyone, full kitchen, living room and in many cases extras like a garden area or even a hot tub! These cottages are tucked away in a perfect location for enjoying all that Pembrokeshire has to offer. Lisa and Paul are great and made our stay very relaxing. Enjoy all the comforts of a well presented and spacious cottages along with the extra conveniences of having a barbeque, WiFi, laundry room, well stocked DVD library, hot tub and sauna. We even got to 'meet' the local badger! Highly recommended. Meet Lisa in this IVHE podcast; hear about her travels, experiences with home exchange and learn more about these wonderful cottages in Wales. It’s not where, but what are you doing on vacation. People often ask, ‘where are you going on vacation?’ The truth is we go on vacation to enjoy life other than working and being at home. Shouldn’t the question really be ‘what are you planning to do while on vacation?’ IVHE.com helps people find the right vacation destination for the best home exchange available. Vacations are for spending time doing the things we enjoy most. It could be a specific activity like golfing, fishing or skiing. Or you could simply be looking for a relaxing place to take a walk or have a nice location to spend time with your family and friends without all the day to day issues of being at home. 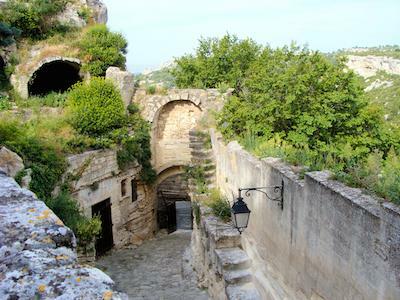 What if you can choose your next time away based on your personal preferences? And what if after a great day out enjoying life you can come back to a luxury home to relax and continue to share the stories and experiences of the day, while saving thousands on accommodation expenses? All of this is possible with the best home exchange websites. To make this easy, International Vacation Home Exchange, IVHE.com, has enhanced it search criteria to make it easy for you to choose an exclusive location that caters for the needs that you specify. As mentioned earlier, if you are a golfer, you can choose golf destinations. 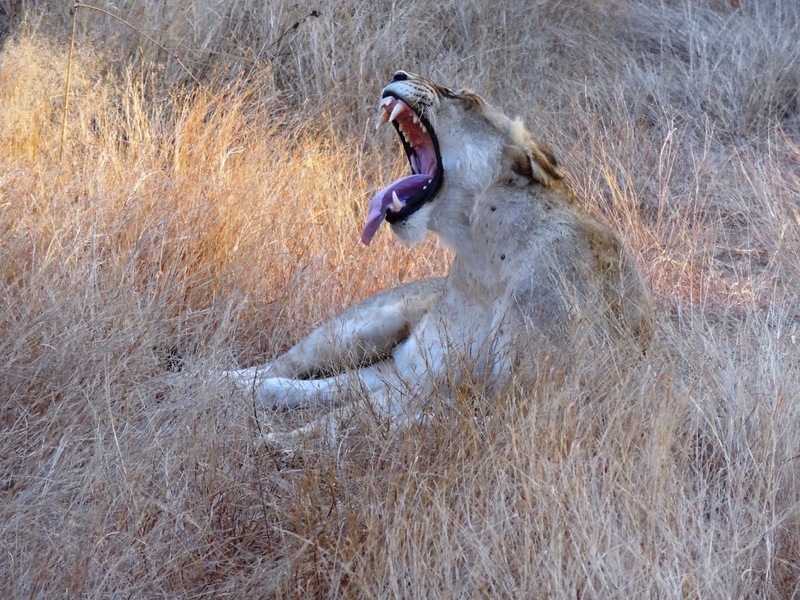 Is walking and hiking your passion, search by this criteria. Are you an expert angler and enjoy pursuing and catching fish? You can enjoy luxury homes with fishing nearby. Your search for the best home exchange is now very easy as you can select from all of the following options: skiing, beach locations, scuba diving, boating and sailing, horse riding, surfing, tropical locations, fishing, hiking, golfing and tennis. Of course are some point you will want to also narrow your search to the best home exchange for your family / party, so you can also choose by country, number of bedrooms, how many the home can accommodate for sleeping and various other amenities. Maybe your extended family is traveling together and everyone enjoys going to the beach. A large place with many bedrooms is important, but you also want to have the conveniences of having a dishwasher – no problem, just include it in your selection criteria. Or maybe having your own garden or outside barbeque is the best way to spend your time, include them in the facilities search. Say you require a vacation home where there is Wi-Fi access included; just include Wi-Fi in your search, easy! “Vacation travel should be fun and easy, by listening to our members we have enhanced our search criteria to include over a dozen vacation activities along with other important selection areas like number of bedrooms, amenities, and country to name a few. Our IVHE.com members save, on average, $409 per night in accommodation costs, while enjoying all the amenities of staying in a luxury home. 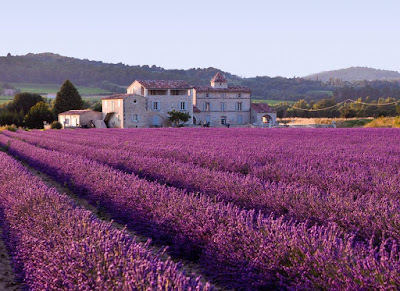 Our aim is to provide the best home exchange website for planning your next vacation. ” says Larry Klimczyk, Director of International Vacation Home Exchange, IVHE.com. With collaborative consumption and the sharing economy growing at a very fast pace, home exchange is a great way to travel. IVHE.com offers traditional direct home exchanges, where two parties decide to swap homes at the same time. IVHE.com also offers a unique solution for members that already own a vacation home. IVHE.com’s credits system enables more flexibility and options for second home owners. The ingenious system gives credits to the host member when someone stays at their property. They in turn can then spend these credits at any of the properties in over 70 countries around the globe. 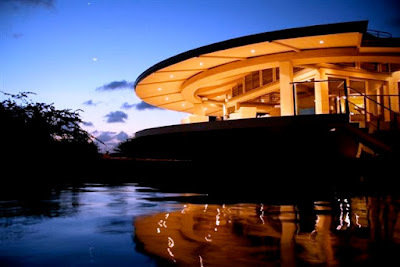 Join IVHE.com members around the worlds that are enjoying exclusive vacation homes while saving thousands of dollars. Your best home exchange vacation can easily be planned today – enjoy relaxing in a vacation / holiday home with full amenities, and live like a local when traveling. Vacation Home Exchange Podcast - people just like you. Join the sharing economy and get to know home exchange on at a personal level. Exclusive home exchange members of IVHE.com are sharing stories about their vacations and home exchange experiences in a new podcast series. The interview format gives the listeners a personal view from experienced home exchange travelers. Listen to all of these podcasts, either live or download for your convenience. Home exchange is a great way to travel the world, enjoy the conveniences of a home, live like a local and save thousands in accommodation costs. Before experiencing home swapping for the first time, most people are quite anxious. In these podcast interviews, you meet several IVHE.com members and learn that they are people just like you. They give useful information about vacation travel, their experiences in home exchange and some thoughts and tips that will be useful for you. ‘To further open up home exchange to a wider audience, we are pleased to announce the Vacation Home Exchange Podcast series where travelers share their home exchange experiences with you. This is a fun and convenient way to learn more about home exchange, IVHE.com is very proud to have great members that simply love to travel and share their ideas and thoughts with others. Join the sharing economy and try home exchange travel.’ states Larry Klimczyk, Executive Director of International Vacation Home Exchange, IVHE.com. Virgin Islands – beaches, fantastic pool and perfect weather. IVHE #0835. The sharing economy is growing at an extremely fast pace, experience with home exchange, a great way to travel.